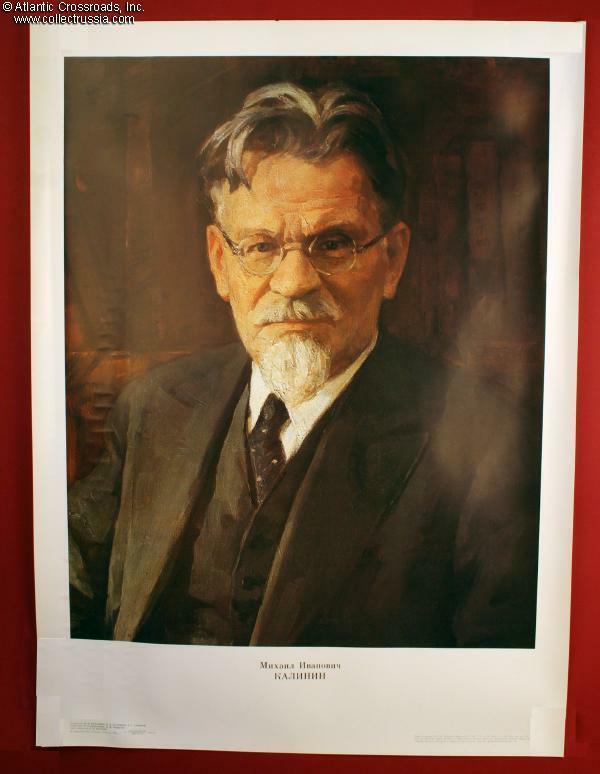 Mikhail Kalinin, 1985 poster portrait of the Chairman of the Presidium of the Supreme Soviet of the USSR from 1919 until 1946. 19 3/8" x 26 1/4". Highest quality print on very heavy glossy art paper. On paper, at least, Kalinin was the technically head of the Soviet government for twenty-seven years. Portrait was intended for display in governmental offices wherever portraits of Lenin and other Soviet notables were on permanent display. Unlike all of the other towns and cities once named for Soviet leaders and that have now reverted to their pre-1917 names, Kalinin still has a city named for him: Kaliningrad, the former Königsberg in what was once East Prussia.